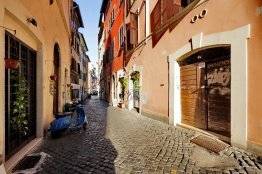 Instead of going for cheap hotels in Rome Italy, how about spoiling yourself with an authentic Roman experience by booking yourself in an apt in Rome? 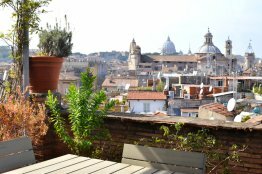 At RomeLoft, we make it possible for you to discover the true colors of Rome with our wonderful range of apartments in Rome Italy that will suit any and every traveller. Campo de Fiori, or “field of flowers” in Italian, represents Rome’s very essence. 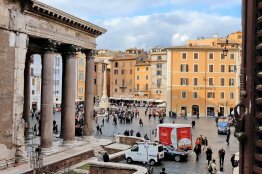 Throughout its history, Piazza Campo de Fiori has always been a vibrant meeting spot. 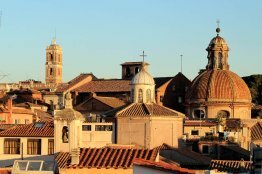 Renting a Rome apartment here means discovering an area which offers a fascinating contrast between morning, mid day and evening activities. 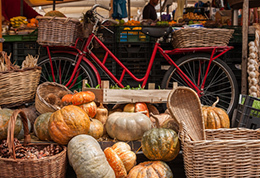 A bustling morning life, is nothing short of exciting for anyone who ventures onto the square during the time where merchants gather and get ready to sell their fresh products and handmade goods. Mid day is a time where restaurants, trattorias and bakeries get packed with hungry and hurried locals, alongside curious, wide-eyed tourists. 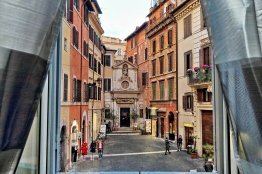 When the evening falls, Campo de Fiori presents another captivating facet, one which attracts the pub goers, the movie watchers, the theater lovers and anyone who wants to enjoy a setting which is characteristically and unquestionably Roman. 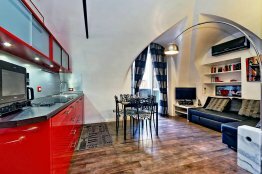 It’s a neighbourhood which deserves to be explored and lived to the very fullest while staying in a fabulous Campo de Fiori apartment. 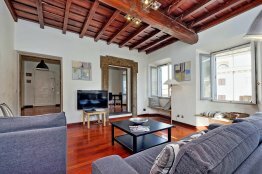 This fantastic and centrally located Roman apartment is situated on Via dei Leutari. It is on the fifth floor of a recently renovated, elegant eighteenth century building, which also has a lift. 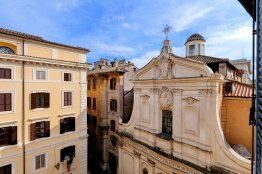 This Navona charming apartment lies right next to Piazza Navona and the Pantheon. 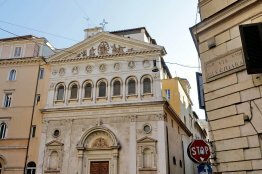 Your home in Rome sits on the first floor of an 18th century building which has a lift. From the living room window of this Rome apartment, you can admire the antique columns of the Pantheon in all their glory. The apartment is located at the first floor of a seventeenth century building which does not have a lift. 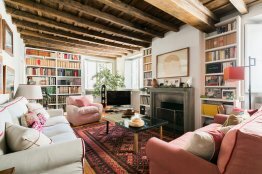 You will find this Campo de Fiori Stylish Apartment on the corner of a charming piazza which displays a classic view of Italian architecture. The apartment also has elegant views out of its bedroom windows of a historic church across the way. 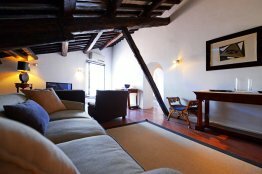 Your vacation home in Rome is a romantic penthouse, flooded with light and elegantly renovated with parquet floors and high wooden ceilings. 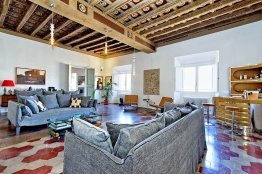 This Farnese elegant apartment lies within a very elegant building (with lift) on Piazza San Paolo alla Regola. 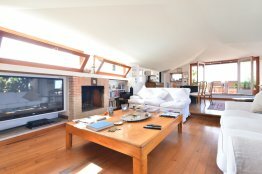 This spacious and bright apartment is ideal for a large family or a group of friends. 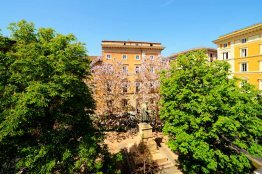 This modern and very well equipped studio apartment sits next to the Sisto bridge, in the areas of Campo de Fiori and Trastevere. 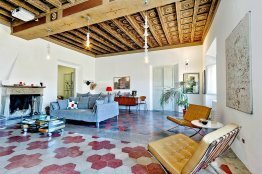 This Rome design terrace apartment is a real jewel right in the heart of Rome. 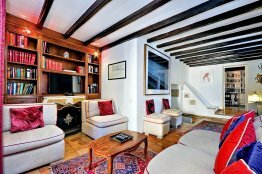 You enter through a sixteenth century building to find this air conditioned apartment on the 3rd floor. Furthermore, this antique building doesn’t have a lift. 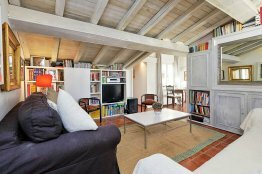 This beautiful Farnese family apartment for rent in Rome lies on Via della Corda, facing Piazza Farnese. 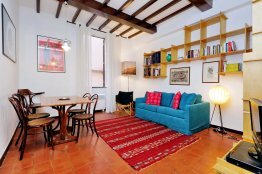 This studio apartment has a fantastic location on a quiet street called Via dei Balestrari. This used to be a famous craftsmen street. 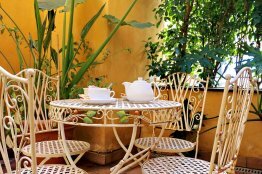 You’ll find this luxury Rome apartment with a terrace tucked in a cozy and typical narrow street, Via dei Cappellari. You can access this apartment on the fourth floor of an ancient building without a lift. 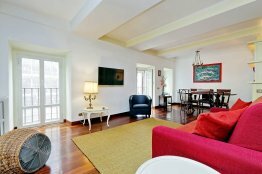 It is furnished with a classic style and a modern touch. 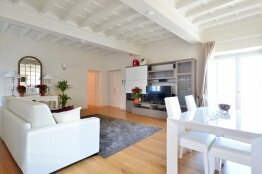 You will find this elegant and spacious Rome apartment on the beautiful Piazza della Maddalena. This is one of the nicest Baroque squares of the historical center. You can access the apartment on the 2nd floor of an eighteenth century building without a lift. 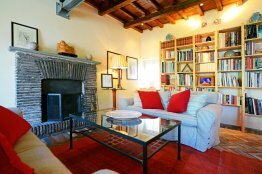 You will find this two-bedroom apartment in the very heart of Rome’s historic center.